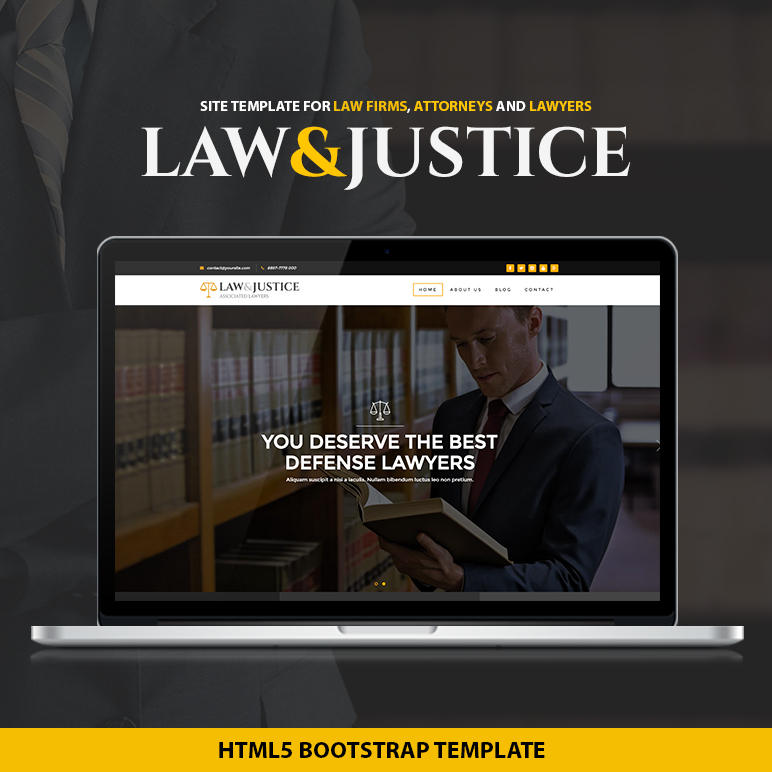 Meet Law & Justice, a HTML5 Bootstrap Template for attorneys,lawyers and law firms. It includes all the functionality needed for a legal services website. Law & Justice HTML5 Template is built for Legal Advisers, Legal offices, Lawyers, Attorneys, Barristers at Law, Counsels, Solicitors, Advocates and other legal and law related services and it is suitable for any kind of legal and financial activity – Barristers at Law, Counsels, Solicitors, Advocates, Accountant, Consultant, Consulting, Counsellor.